An innovative and fun Tampa Bay residence. 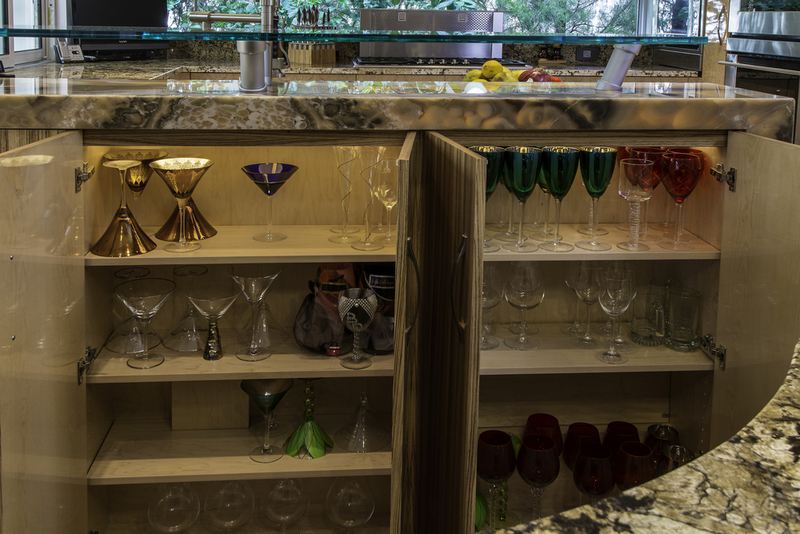 A fun, functional and innovative contemporary kitchen and wine bar project designed by George Gobes, founder of Park Avenue Designs and built by SWP Cabinetry in Tampa Bay. The kitchen, as featured in Housetrends Magazine, incorporates white high gloss European cabinetry on the walls, high gloss Birdseye Maple and Zebrawood base cabinets and wine bar. Striking Zebrawood cabinet topped with an illuminated Onyx waterfall countertop provides a focal point for the kitchen. 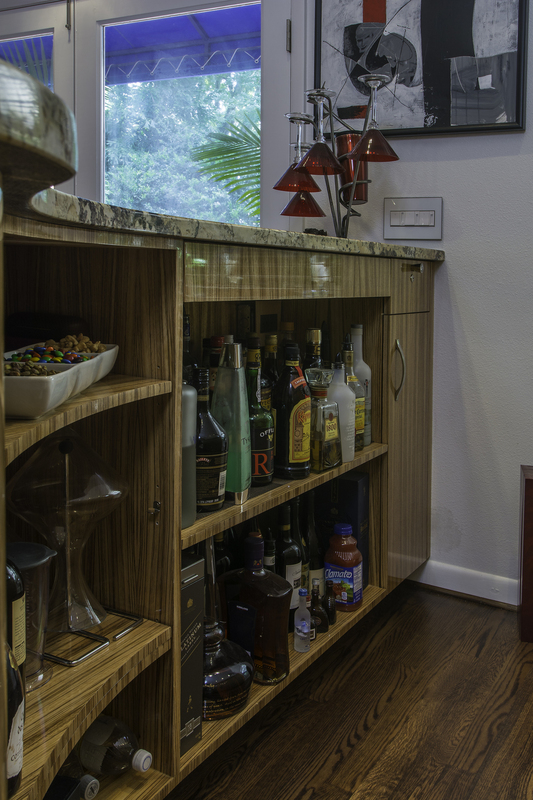 A floating glass countertop is perfect for entertaining and serving hors d'oeuvres and drinks.